Flatbed towing is probably the safest and most reliable method of towing and transporting a vehicle, car, van, truck or motorcycle. Flatbed towing allows you to ensure that your vehicle will be towed safely to the destination of your choosing without any issues, damages or defects. Of course, this will never be an issue because our drivers are the safest and most reliable drivers in the industry. Flatbed towing involves placing the entire vehicle on a long flatbed tow truck where all four wheels are off the road. This ensures that the weight of the car or truck is completely balanced. Loading is actually quite simple and only takes a few minutes. The vehicle is attached by cable and winched up onto the flatbed truck. Once on the truck it is safely attached the bed and then we are able to deliver your vehicle to the destination of your choice. 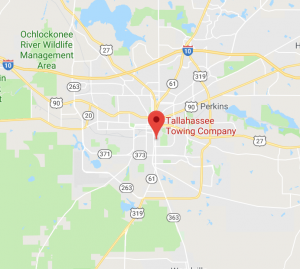 Call Tallahassee Towing Service today if you need a flatbed tow.